The BSMC blowing seal is a cost effective solution based on the BSM valves for occasional cleaning of the valve internal. 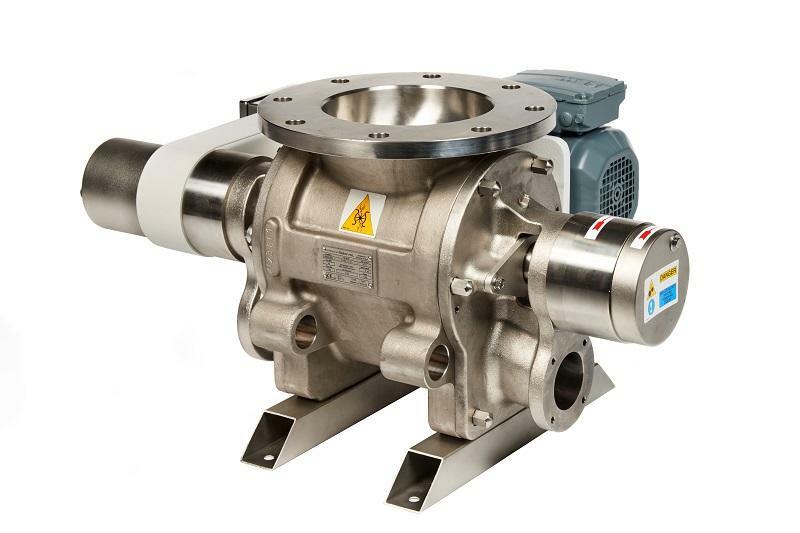 Various standards of finish are available to suit most hygienic applications; however, for more stringent requirements and frequent cleaning consider the BSMF fast clean rotary valve. With the design being modular and the cleanable range incorporating a tapered rotor, this valve can be converted into a fast clean version (BSMF) by simply retrofitting guide rails and the Rotalign™ (GB Patent No. 2 522 293) bearing assembly, which is our self-centralising rotor design.